I had the pleasure of capturing some special moments of a lovely pappa, mamma and their sweet little daughter on a beautiful winters afternoon in a meadow of white. Pappa and his little sweetheart had some lovely moments together on this special father’s day and I was so happy to produce some truly captivating soft moments on film that show their special father-daughter bond. Antoher special moment was this little girls first time on a sled. What fun the family had for this first ever experience! 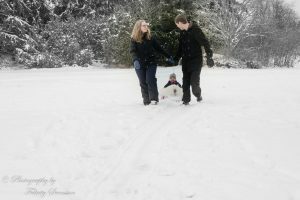 There was some lovely snuggling up in a blanket in the little, quaint forrest in the middle of the the meadow, some snow throwing, some snow angel making and even a cosy moment alone for mamma and pappa. It was a lovely photo session and this sweetest little girl was such a ray of sunshine to photograph that it was difficult for me to put my camera down and finish the session!